Hardcover. Very good. No dust jacket. Previous owner's nameplate & stamp on ffep (Physics & Astrophysics University of Colorado). Moderate shelf wear with some bumping/rubbing of cover corners. 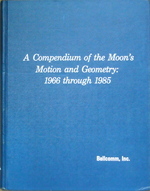 1985 Edition.